Griffin-American Healthcare REIT IV, Inc. today announced operating results for the company’s third quarter ended Sept. 30, 2018. As of Sept. 30, 2018, the company’s non-RIDEA3 property portfolio achieved a leased percentage of 95.5 percent and weighted average remaining lease term of 9.5 years. The company’s portfolio of senior housing – RIDEA facilities achieved a leased percentage of 76.7 percent. Portfolio leverage4 was 28.4 percent. 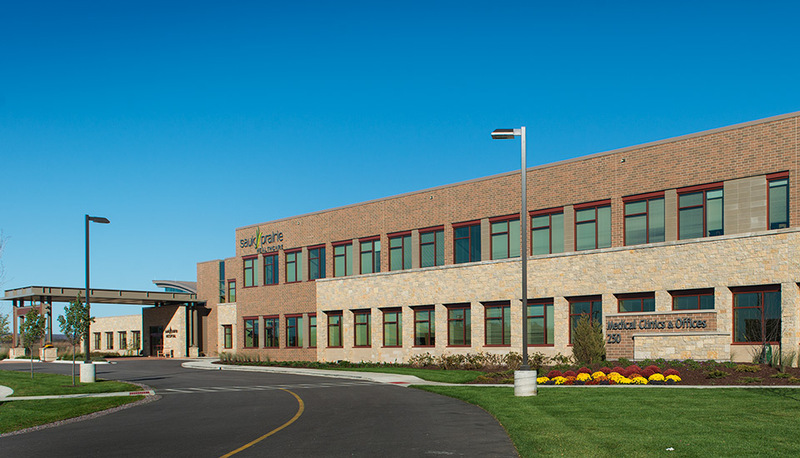 The company completed third quarter acquisitions totaling approximately $178.4 million, based on contract purchase price, comprised of three medical office buildings, an eight-building skilled nursing facility portfolio and two senior housing facilities operating under RIDEA management structures. On Sept. 28, 2018, the company entered into an amendment with Bank of America, N.A., as administrative agent, and the subsidiary guarantors and lenders, on its existing $200 million revolving line of credit and term loan to expand its borrowing capacity by $150 million, to a maximum principal amount of $350 million. Subsequent to the close of the third quarter 2018, the company completed the acquisition of a 6 percent interest in a joint venture that owns approximately 97 percent of Trilogy Investors, LLC (“Trilogy”), for $48 million in cash, based on an estimated gross enterprise value of $93.2 million less the pro rata share of debt in the joint venture. Trilogy is a leading owner-operator of purpose-built integrated senior healthcare campuses throughout the states of Indiana, Ohio, Michigan and Kentucky. As of Nov. 15, 2018, the company’s portfolio consisted of 58 medical office buildings, senior housing facilities and skilled nursing facilities located in 20 states comprised of approximately 3.4 million square feet of gross leasable area, as well as an interest in a joint venture which owns or operates a portfolio of integrated senior health campuses and ancillary businesses, acquired for an aggregate contract purchase price of approximately $807.6 million. Additionally, the company is currently pursuing approximately $211.6 million in additional pending acquisitions2 which would result in a total portfolio of approximately 96 healthcare buildings located in 21 states comprised of approximately 4.6 million square feet of gross leasable area upon the successful completion of these potential acquisitions. 4 Total debt divided by total market value of real estate. Total market value equals the aggregate contract purchase price paid for investments or, for investments appraised subsequent to the date of purchase, the aggregate value reported in the most recent independent appraisals of such investments. 5 Please refer to the company’s Current Report on Form 8-K filed with the U.S. Securities and Exchange Commission, or SEC, on April 9, 2018 for additional information. Net operating income is a financial measure that is not computed in accordance with accounting principles generally accepted in the United States of America, or GAAP, that is defined as net income (loss), computed in accordance with GAAP, generated from properties before general and administrative expenses, acquisition related expenses, depreciation and amortization, interest expense and interest income. Acquisition fees and expenses are paid in cash by us, and we have not set aside or put into escrow any specific amount to be used to fund acquisition fees and expenses. The purchase of real estate and real estate-related investments, and the corresponding expenses associated with that process, is a key operational feature of our business plan in order to generate operating revenues and cash flows to make distributions to our stockholders. However, we do not intend to fund acquisition fees and expenses in the future from operating revenues and cash flows, nor from the sale of properties and subsequent redeployment of capital and concurrent incurring of acquisition fees and expenses. Acquisition fees and expenses include payments to our advisor or its affiliates and third parties. Such fees and expenses are not reimbursed by our advisor or its affiliates and third parties, and therefore, if there is no further cash on hand to fund future acquisition fees and expenses, such fees and expenses will need to be paid from either additional debt, operational earnings or cash flows, net proceeds from the sale of properties or from ancillary cash flows. As a result, the amount of proceeds available for investment, operations and non-operating expenses would be reduced, or we may incur additional interest expense as a result of borrowed funds. Certain acquisition related expenses under GAAP, such as expenses incurred in connection with property acquisitions accounted for as business combinations, are considered operating expenses and as expenses included in the determination of net income (loss), which is a performance measure under GAAP. All paid and accrued acquisition fees and expenses have negative effects on returns to investors, the potential for future distributions and cash flows generated by us, unless earnings from operations or net sales proceeds from the disposition of other properties are generated to cover the purchase price of the property, these fees and expenses and other costs related to such property. Net operating income is not equivalent to our net income (loss) as determined under GAAP and may not be a useful measure in measuring operational income or cash flows. Furthermore, net operating income is not necessarily indicative of cash flow available to fund cash needs and should not be considered as an alternative to net income (loss) as an indication of our performance, as an alternative to cash flows from operations as an indication of our liquidity, or indicative of funds available to fund our cash needs including our ability to make distributions to our stockholders. Net operating income should not be construed to be more relevant or accurate than the current GAAP methodology in calculating net income (loss) or in its applicability in evaluating our operating performance. Investors are also cautioned that net operating income should only be used to assess our operational performance in periods in which we have not incurred or accrued any acquisition related expenses. Due to certain unique operating characteristics of real estate companies, NAREIT, an industry trade group, has promulgated a measure known as funds from operations, a non-GAAP measure, which we believe to be an appropriate supplemental performance measure to reflect the operating performance of a real estate investment trust, or REIT. The use of funds from operations is recommended by the REIT industry as a supplemental performance measure, and our management uses FFO to evaluate our performance over time. FFO is not equivalent to our net income (loss) as determined under GAAP. We define FFO, a non-GAAP measure, consistent with the standards established by the White Paper on funds from operations approved by the Board of Governors of NAREIT, as revised in February 2004, or the White Paper. The White Paper defines funds from operations as net income (loss) computed in accordance with GAAP, excluding gains or losses from sales of property and asset impairment writedowns, plus depreciation and amortization, and after adjustments for unconsolidated partnerships and joint ventures. Adjustments for unconsolidated partnerships and joint ventures are calculated to reflect funds from operations. Our FFO calculation complies with NAREIT’s policy described above. The historical accounting convention used for real estate assets requires straight-line depreciation of buildings and improvements, which implies that the value of real estate assets diminishes predictably over time, which is the case if such assets are not adequately maintained or repaired and renovated as required by relevant circumstances and/or as requested or required by lessees for operational purposes in order to maintain the value disclosed. We believe that, since real estate values historically rise and fall with market conditions, including inflation, interest rates, the business cycle, unemployment and consumer spending, presentations of operating results for a REIT using historical accounting for depreciation may be less informative. In addition, we believe it is appropriate to exclude impairment charges, as this is a fair value adjustment that is largely based on market fluctuations and assessments regarding general market conditions, which can change over time. Testing for an impairment of an asset is a continuous process and is analyzed on a quarterly basis. If certain impairment indications exist in an asset, and if the asset’s carrying, or book value, exceeds the total estimated undiscounted future cash flows (including net rental and lease revenues, net proceeds on the sale of the property and any other ancillary cash flows at a property or group level under GAAP) from such asset, an impairment charge would be recognized. Investors should note, however, that determinations of whether impairment charges have been incurred are based partly on anticipated operating performance, because estimated undiscounted future cash flows from a property, including estimated future net rental and lease revenues, net proceeds on the sale of the property and certain other ancillary cash flows, are taken into account in determining whether an impairment charge has been incurred. While impairment charges are excluded from the calculation of FFO as described above, investors are cautioned that due to the fact that impairments are based on estimated future undiscounted cash flows and that we intend to have a relatively limited term of our operations, it could be difficult to recover any impairment charges through the eventual sale of the property. Changes in the accounting and reporting rules under GAAP that were put into effect and other changes to GAAP accounting for real estate subsequent to the establishment of NAREIT’s definition of FFO have prompted an increase in cash-settled expenses, specifically acquisition fees and expenses, as items that are expensed as operating expenses under GAAP. We believe these fees and expenses do not affect our overall long-term operating performance. Publicly registered, non-listed REITs typically have a significant amount of acquisition activity and are substantially more dynamic during their initial years of investment and operation. While other start up entities may also experience significant acquisition activity during their initial years, we believe that publicly registered, non-listed REITs are unique in that they have a limited life with targeted exit strategies within a relatively limited time frame after the acquisition activity ceases. We do not intend to continuously purchase assets and intend to have a limited life. Due to the above factors and other unique features of publicly registered, non-listed REITs, the IPA, an industry trade group, has standardized a measure known as modified funds from operations, which the IPA has recommended as a supplemental performance measure for publicly registered, non-listed REITs, and which we believe to be another appropriate supplemental performance measure to reflect the operating performance of a publicly registered, non-listed REIT having the characteristics described above. MFFO is not equivalent to our net income (loss) as determined under GAAP, and MFFO may not be a useful measure of the impact of long-term operating performance on value if we do not continue to operate with a limited life and targeted exit strategy, as currently intended. We believe that, because MFFO excludes expensed acquisition fees and expenses that affect our operations only in periods in which properties are acquired and that we consider more reflective of investing activities, as well as other non-operating items included in FFO, MFFO can provide, on a going forward basis, an indication of the sustainability (that is, the capacity to continue to be maintained) of our operating performance after the period in which we are acquiring our properties and once our portfolio is in place. By providing MFFO, we believe we are presenting useful information that assists investors and analysts to better assess the sustainability of our operating performance after our property acquisition activity ceases. We also believe that MFFO is a recognized measure of sustainable operating performance by the publicly registered, non-listed REIT industry. Further, we believe MFFO is useful in comparing the sustainability of our operating performance after our property acquisition activity ceases with the sustainability of the operating performance of other real estate companies that are not as involved in acquisition activities. Investors are cautioned that MFFO should only be used to assess the sustainability of our operating performance after our property acquisition activity ceases, as it excludes expensed acquisition fees and expenses that have a negative effect on our operating performance during the periods in which properties are acquired. We define MFFO, a non-GAAP measure, consistent with the IPA’s Guideline 2010-01, Supplemental Performance Measure for Publicly Registered, Non-Listed REITs: Modified Funds from Operations, or the Practice Guideline, issued by the IPA in November 2010. The Practice Guideline defines modified funds from operations as funds from operations further adjusted for the following items included in the determination of GAAP net income (loss): acquisition fees and expenses; amounts relating to deferred rent and amortization of above- and below-market leases and liabilities (which are adjusted in order to reflect such payments from a GAAP accrual basis to closer to an expected to be received cash basis of disclosing the rent and lease payments); accretion of discounts and amortization of premiums on debt investments; mark-to-market adjustments included in net income (loss); gains or losses included in net income (loss) from the extinguishment or sale of debt, hedges, foreign exchange, derivatives or securities holdings where trading of such holdings is not a fundamental attribute of the business plan; unrealized gains or losses resulting from consolidation from, or deconsolidation to, equity accounting; and after adjustments for consolidated and unconsolidated partnerships and joint ventures, with such adjustments calculated to reflect modified funds from operations on the same basis. The accretion of discounts and amortization of premiums on debt investments, unrealized gains and losses on hedges, foreign exchange, derivatives or securities holdings, unrealized gains and losses resulting from consolidations, as well as other listed cash flow adjustments are adjustments made to net income (loss) in calculating cash flows from operations and, in some cases, reflect gains or losses which are unrealized and may not ultimately be realized. We are responsible for managing interest rate, hedge and foreign exchange risk, and we do not rely on another party to manage such risk. In as much as interest rate hedges will not be a fundamental part of our operations, we believe it is appropriate to exclude such gains and losses in calculating MFFO, as such gains and losses are based on market fluctuations and may not be directly related or attributable to our operations. Our MFFO calculation complies with the IPA’s Practice Guideline described above. In calculating MFFO, we exclude acquisition related expenses, amortization of above- and below-market leases, change in deferred rent and the adjustments of such items related to redeemable noncontrolling interests. The other adjustments included in the IPA’s Practice Guideline are not applicable to us for the three and nine months ended September 30, 2018 and 2017. Acquisition fees and expenses are paid in cash by us, and we have not set aside or put into escrow any specific amount to be used to fund acquisition fees and expenses. The purchase of real estate and real estate-related investments, and the corresponding expenses associated with that process, is a key operational feature of our business plan in order to generate operating revenues and cash flows to make distributions to our stockholders. However, we do not intend to fund acquisition fees and expenses in the future from operating revenues and cash flows, nor from the sale of properties and subsequent redeployment of capital and concurrent incurring of acquisition fees and expenses. Acquisition fees and expenses include payments to our advisor or its affiliates and third parties. Such fees and expenses are not reimbursed by our advisor or its affiliates and third parties, and therefore if there is no further cash on hand to fund future acquisition fees and expenses, such fees and expenses will need to be paid from either additional debt, operational earnings or cash flows, net proceeds from the sale of properties or from ancillary cash flows. Certain acquisition related expenses under GAAP, such as expenses incurred in connection with property acquisitions accounted for as business combinations, are considered operating expenses and as expenses included in the determination of net income (loss), which is a performance measure under GAAP. All paid and accrued acquisition fees and expenses will have negative effects on returns to investors, the potential for future distributions and cash flows generated by us, unless earnings from operations or net sales proceeds from the disposition of other properties are generated to cover the purchase price of the property, these fees and expenses and other costs related to such property. In the future, we may pay acquisition fees or reimburse acquisition expenses due to our advisor and its affiliates, or a portion thereof, with net proceeds from borrowed funds, operational earnings or cash flows, net proceeds from the sale of properties or ancillary cash flows. As a result, the amount of proceeds from borrowings available for investment and operations would be reduced, or we may incur additional interest expense as a result of borrowed funds. Our management uses MFFO and the adjustments used to calculate it in order to evaluate our performance against other publicly registered, non-listed REITs which intend to have limited lives with short and defined acquisition periods and targeted exit strategies shortly thereafter. As noted above, MFFO may not be a useful measure of the impact of long-term operating performance if we do not continue to operate in this manner. We believe that our use of MFFO and the adjustments used to calculate it allow us to present our performance in a manner that reflects certain characteristics that are unique to publicly registered, non-listed REITs, such as their limited life, limited and defined acquisition period and targeted exit strategy, and hence, that the use of such measures may be useful to investors. For example, acquisition fees and expenses are intended to be funded from other financing sources and not from operations. By excluding expensed acquisition fees and expenses, the use of MFFO provides information consistent with management’s analysis of the operating performance of the properties. Additionally, fair value adjustments, which are based on the impact of current market fluctuations and underlying assessments of general market conditions, but can also result from operational factors such as rental and occupancy rates, may not be directly related or attributable to our current operating performance. By excluding such charges that may reflect anticipated and unrealized gains or losses, we believe MFFO provides useful supplemental information. Presentation of this information is intended to provide useful information to investors as they compare the operating performance of different REITs, although it should be noted that not all REITs calculate funds from operations and modified funds from operations the same way, so comparisons with other REITs may not be meaningful. Furthermore, FFO and MFFO are not necessarily indicative of cash flow available to fund cash needs and should not be considered as an alternative to net income (loss) as an indication of our performance, as an alternative to cash flows from operations, which is an indication of our liquidity, or indicative of funds available to fund our cash needs including our ability to make distributions to our stockholders. FFO and MFFO should be reviewed in conjunction with other measurements as an indication of our performance. MFFO may be useful in assisting management and investors in assessing the sustainability of operating performance in future operating periods, and in particular, after the capital formation and acquisition stages are complete. FFO and MFFO are not useful measures in evaluating net asset value because impairments are taken into account in determining net asset value but not in determining FFO and MFFO. In evaluating investments in real estate, we differentiate the costs to acquire the investment from the operations derived from the investment. Such information would be comparable only for publicly registered, non-listed REITs that have completed their acquisition activity and have other similar operating characteristics. By excluding expensed acquisition related expenses, we believe MFFO provides useful supplemental information that is comparable for each type of real estate investment and is consistent with management’s analysis of the investing and operating performance of our properties. Acquisition fees and expenses include payments to our advisor or its affiliates and third parties. Certain acquisition-related expenses under GAAP, such as expenses incurred in connection with property acquisitions accounted for as business combinations, are considered operating expenses and as expenses included in the determination of net income (loss), which is a performance measure under GAAP. All paid and accrued acquisition fees and expenses will have negative effects on returns to investors, the potential for future distributions, and cash flows generated by us, unless earnings from operations or net sales proceeds from the disposition of other properties are generated to cover the purchase price of the property, these fees and expenses and other costs related to such property. Under GAAP, above- and below-market leases are assumed to diminish predictably in value over time and amortized, similar to depreciation and amortization of other real estate-related assets that are excluded from FFO. However, because real estate values and market lease rates historically rise or fall with market conditions, including inflation, interest rates, the business cycle, unemployment and consumer spending, we believe that by excluding charges relating to the amortization of above- and below-market leases, MFFO may provide useful supplemental information on the performance of the real estate. Under GAAP, rental revenue or rental expense is recognized on a straight-line basis over the terms of the related lease (including rent holidays). This may result in income or expense recognition that is significantly different than the underlying contract terms. By adjusting for the change in deferred rent, MFFO may provide useful supplemental information on the realized economic impact of lease terms, providing insight on the expected contractual cash flows of such lease terms, and aligns results with our analysis of operating performance. Includes all adjustments to eliminate the redeemable noncontrolling interests’ share of the adjustments described in notes (1) – (3) above to convert our FFO to MFFO. Griffin Capital Company, LLC (“Griffin Capital”) is a leading alternative investment asset manager that owns, manages, sponsors or co/sponsors approximately $11.2 billion* in assets. Founded in 1995, the privately held firm is led by a seasoned team of senior executives with more than two decades of investment and real estate experience and who collectively have executed more than 650 transactions valued at over $22 billion. The firm manages, sponsors or co-sponsors a suite of carefully curated, institutional quality investment solutions distributed by Griffin Capital Securities, LLC to retail investors through a community of partners, including independent and insurance broker-dealers, wirehouses, registered investment advisory firms and the financial advisors who work with these enterprises. Additional information about Griffin Capital is available at www.griffincapital.com. This release contains certain “forward-looking statements” within the meaning of Section 27A of the Securities Act of 1933, as amended, or the Securities Act, and Section 21E of the Securities Exchange Act of 1934, as amended, or the Exchange Act, including statements with respect to our ability to continue to identify and acquire accretive properties, the closing of pending acquisitions and the continued performance of our portfolio. We intend for all forward-looking statements to be covered by the safe harbor provisions for forward-looking statements contained in Section 27A of the Securities Act and Section 21E of the Exchange Act, as applicable by law. Because such statements include risks, uncertainties and contingencies, actual results may differ materially from those expressed or implied by such forward-looking statements. These risks, uncertainties and contingencies include, but are not limited to, the following: our strength and financial condition; uncertainties relating to the strength and financial condition of our current and future real estate investments and their tenants and operators; uncertainties relating to the medical needs and local economies where our real estate investments are located; uncertainties relating to changes in general economic and real estate conditions; uncertainties regarding changes in the healthcare industry; uncertainties relating to the implementation of recent healthcare legislation; uncertainties relating to the implementation of our real estate investment strategy; and other risk factors as outlined in our company’s periodic reports, as filed with the SEC. Forward-looking statements in this document speak only as of the date on which such statements were made, and undue reliance should not be placed on such statements. We undertake no obligation to update any such statements that may become untrue because of subsequent events.